They’re called “Tropical Jewels” and for good reason. Diamantina Dipladenia and Mandevilla genetics from Ball Ingenuity (formerly sold under the Summer Romance umbrella) are tropical bloomers with high performance during hot weather. Original Mandevilla genetics come from the Diamantina region of Brazil, known for diamond mining. 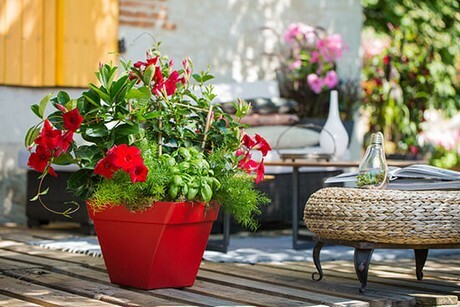 French breeders are behind the Jade, Opal, Tourmaline, and Agate series of plants, and the 2019 re-branding marks a return to the plants’ roots, so to speak. The three new varieties are available in limited trial quantities. 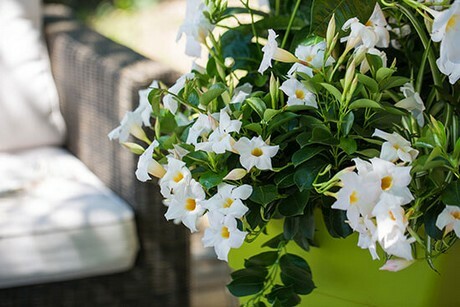 Both bush and vining types from the Diamantina series bloom earlier than other Mandevilla/Dipladenia varieties and keep going when the mercury climbs – but the real reason why home gardeners go for these plants is the color. Diamantina offers a true vining yellow-flowering variety (Opal Yellow), and combines well with deep burgundy Opal Merlot. In 2020 the line is set to expand with orange-coral bicolor choices in both bush (Jade Series) and vining (Opal series) and a deep fuchsia bush type to complement the pale pink Tourmaline Bush Pink that’s available now. Orange is a new frontier for these genetics, and Diamantina is the only range set to offer sunrise-colored Dipladena/Mandevilla flowers on the horizon. 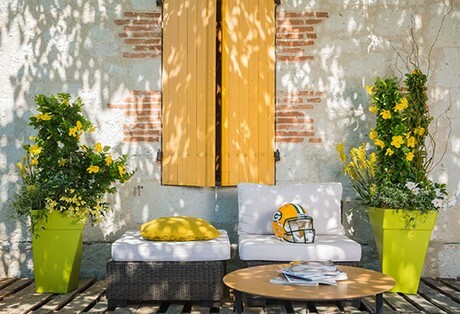 Boasting two of the most unique colors, including yellow and merlot, the Opal Series has a controlled vining habit that allows it to be enjoyed outdoors everywhere. From mixed containers to hanging baskets and landscape uses, the flashy colors of Opal Diamantina plants are certain to be sought-after.